Exercise is an integral part of the astronauts’ daily routine aboard the International Space Station. 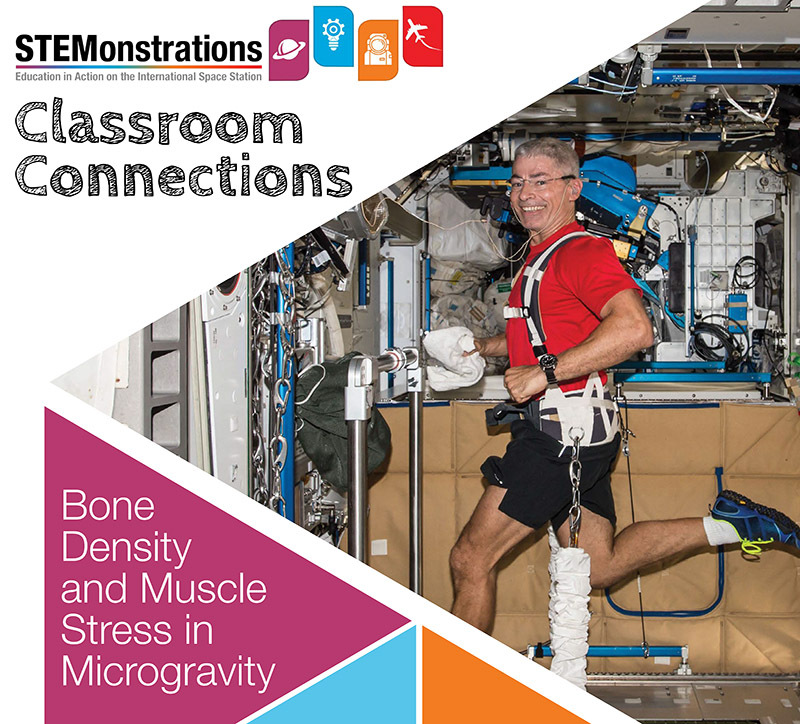 In this STEMonstration, Expedition 53/54 Flight Engineer Joe Acaba stresses the importance of exercising in orbit, and dives into the science behind what happens to bones and muscles in microgravity. NASA Education at Johnson Space Center released this video and lesson plan in December 2017. Watch Expedition 53/54 Flight Engineer Joe Acaba demonstrate how microgravity affects bones and muscles and why it’s important to exercise while living on the International Space Station. Use simple materials in activities that illustrate how bones and muscles are affected by microgravity.